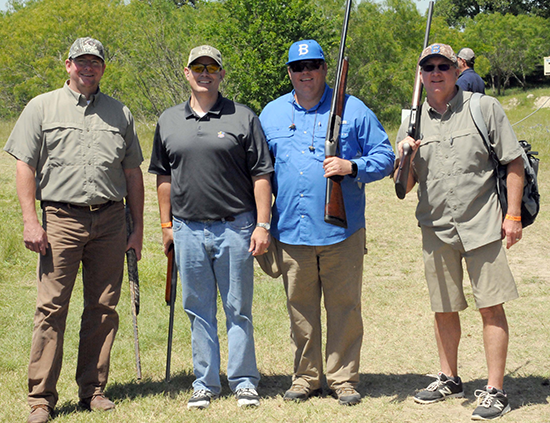 The Blinn College Alumni and Friends and the Buccaneer Alumni Lettermen associations are excited to host the fifth annual Blinn College District Clay Shootout to raise funds for academic scholarships and athletic equipment. Last year's event raised over $60,000, all of which went directly back to the Blinn College District. Shoot Times: 8:30 a.m.; 11:30 a.m.; and 2:30 p.m.
*Shooter registration includes 100 sporting clays, meal, drinks, raffles, prizes, and trophies. **Spectator registration includes unlimited food and drinks. Awards will be presented to the top male, female, and youth shooter following the final flight.